1. Tauer Perfumes- Reverie Au Jardin. A summer afternoon in lavender and then some. 2. Estee Lauder- Azuree. Leather, leather, leather. I can't believe it's Lauder. 3. Serge Lutens- Fleurs de Citronnier. Musky blossoms. As pretty as they come. 4. Maitre Parfumeur et Gantier- Iris Bleu Gris. Hidden among the masculine line, a dry and crisp iris of exquisite quality. 5. Hermes- Rouge. A powdery oriental(ish) like they rarely make them nowadays. 6. Frederic Malle- Geranium Pour Monsieur. Mint and flowers, very unique among masculines. 7. Robert Piguet- Visa. Fruity and leathery, larger than life, yet get lost in a line that offers Fracas and Bandit. 8. Annick Goutal- Quel Amour! A pink fruity floral with a lot of character and a beautiful dry-down. 9. Diptyque- Virgilio. Back after a few years' absence as a boutique exclusive. Wonderfully green and full of basil. 10. L'Artisan Parfumeur- Mechant Loup. What's not to love about hazelnut? Photograph by Baron de Meyer. I have five out of ten. I own Reverie Au Jardin and like it for the early part of summer...before the heat and humidity beats down on you. Awesome list. Nice list. I've worn Iris Bleu Gris on and off for a number of years. I need to retry Visa. I have it in vintage, but the reformulation is very different. I remember liking it. You're right. Most of these get very little attention. In fact, there are a few on your list that I've never tried, despite their accessibility. I have tried most of these - the MPG really iris one intrigues me! LOVE Fleurs de Citronnier and Azuree! I'm a big a fan of leather as they come but there's just something too... meaty (with a hint of decomposition) about Azuree. I am full of respect and amazement that it is still available. But this is a useful reminder to check out Rouge. Love that Annick and I have the same name! I'll have to give this Estee Lauder one a sniff! Great list! 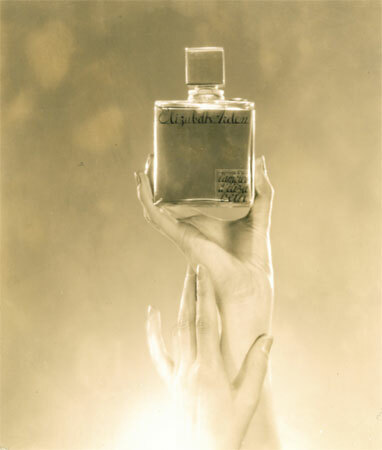 I love Fleurs de Citronnier and I've also been mystified why it doesn't get more mention in the perfume community. Oh but I am wearing Azuree, as is my husband. The SA at the Lauder counter asked us twice is it was indeed what we wanted. Then she tried to push the latest Pleasures version on me. My current summer love is SSS's Lieu de Reves! I love Geranium pour Monsieur and this is the perfect time of year to wear it! Thanks for the reminder! I need to smell Geranium pour Monsieur next time at Barneys. I also need to add the SL Fleurs to my list and luckily they are located right next to each other. Hi Gaia! Yes, you are right, I'm not wearing them. I'm afraid that compared to you I have the fragrance sophistication of a kindergartener. That's okay, I can live with it! Since you've been posting your pictures I can see why I went wrong following a lipstick color you liked. We have similar hair color but I more closely resemble Snow White. She's having her moment, so I can live with that too! I'll just follow you on product quality instead of color. Now, with your primers...have you ever found one that helps with oil control/mattifying? I think you have said you are more towards dry? I love your list, I'm not surprised about Azuree-it's a beautiful and edgy leather, a bit difficult to wear. I'd also add Alliage (vintage), a very nice spring or summer scent with lots of galbanum and herbs. It's been one of my very favorite green scents for years now. As a long time fan of Oriental scents and all things Hermes, I'm surprised I've yet to try Rouge. I must fix that and soon. Oh, I couldn't agree more about Quel Amour! My first and greatest Goutal love. My mother and father wear Hermes Rouge. I don't think I'd wear it myself, but it suits them quite well. I have so much to learn! In the meantime, I'm trying Trayee. WOW. It's like an ancient, vintage *and* modern perfume all in one.